Shahid Kapoor and Mira Rajput are blessed with two beautiful children Misha and Zain Kapoor. The actor recently revealed about how he felt when he first met Mira. He even talked about his parenting life and said that Mira asks him to calm down at times since he tends to get obsessive when it comes to his kids. Shahid opened up about his married life, parenting, his film career and more on an upcoming episode of Famously Filmfare Season 2. The Padmaavat actor revealed how he felt when he first saw his wife and it was surely a magical moment for him. Talking about the same, he said, “It was a lovely evening and light was falling on her face. She just turned towards me and smiled and said something. I was like she is so young but I like her, I thought if something is wrong with me”. 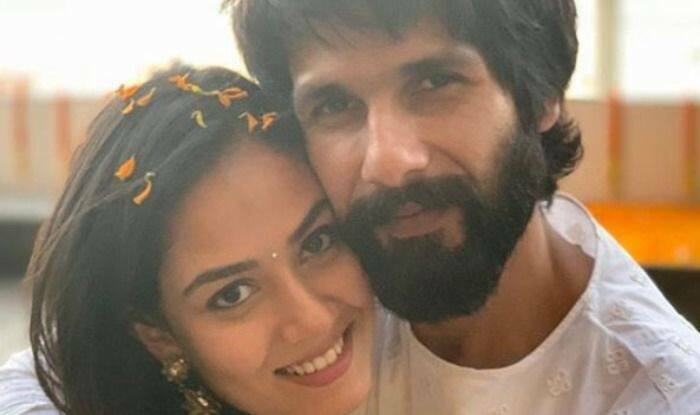 On further being asked if being protective about his children was a ripple effect of his parent’s separation, Shahid said, “My wife tells me that I am a little obsessive and protective and that I need to calm down a little bit. I tell her that she is too casual. Having said that, we try and find the middle ground which I think is good for the kids because you need to have both types of parents”. “If both are too obsessive or both are too careless I don’t think that works, so you need to find that balance,” he added. Shahid and Mira got married in 2015. The couple is very active on social media and keep sharing their sweet moments with their fans. Shahid is a big time family man and he makes sure he keeps his family as his first priority always. When Mira was pregnant, he even took paternity leave so that he could take proper care of her. On the professional front, Shahid is busy with the work of his upcoming film, Kabir Singh. The film is a remake of Telugu hit Arjun Reddy. The film, which is being directed by Sandeep Vanga, features Kiara Advani as the female lead. His previous release, Batti Gul Meter Chalu, which also featured Yami Gautam and Shraddha Kapoor, couldn’t do wonders at the Box Office.